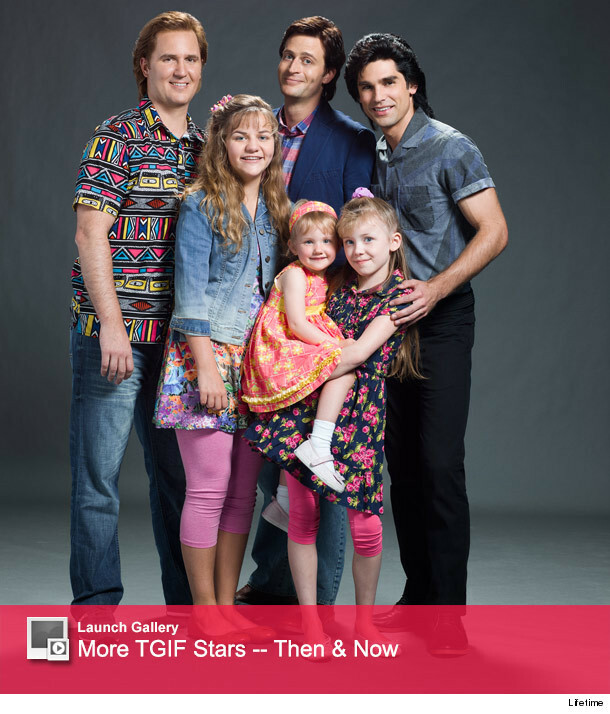 Justin Gaston Has a Message for Lifetime's "Full House" Flick Critics – and Original Cast! He first popped on the scene as the hot guy in Taylor Swift’s "Love Story" video … and the hot guy on Miley Cyrus’ arm … but Justin Gaston may have just found his hottest role yet. 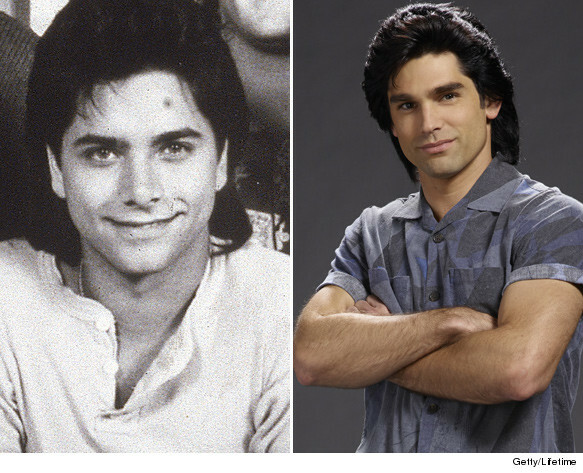 The model-turned-actor plays both John Stamos and the uber-cool Jesse Katsopolis on "The Unauthorized 'Full House' Story" Lifetime’s TV movie that’s going behind the of the set of the hit ‘90s sitcom, "Full House." And he’s up for the challenge. "I watched 'Full House' growing up, so the movie was really fun to shoot," Justin tells toofab’s Bernie Zilio about the flick. "It was pretty funny to go through the fitting and get to try on all the different clothes and then put the wig with it. It was kind of like I was falling back into that era." And much like the lead singer of 'Jesse and the Rippers,' Justin is also a musician by nature. The 26 year old plays the guitar, the piano and has dabbled into drums. "I think I can relate to my characters, I mean, I play music as well, so I think definitely through that aspect of both John Stamos and Uncle Jesse, I think we can certainly relate," he says. As excited as some may be for the premiere of the Lifetime movie, not everyone shares the sentiment. A number of the original series' stars have joked about the costumes, while Bob Saget said the first cast photos looked "painful." When asked what he thought about all the skepticism surrounding the TV movie, Justin said he understood Saget’s hesitation. "I hope that if [the original cast members] do watch it that they see it as us honoring a great show and great characters that they created." From modeling for Adidas to opening for "American Idol’s" Kris Allen, the "Days of Our Lives" star has certainly come a long way. You might even remember him most from his days dating Miley back in 2009, but he admitted that the two no longer have contact. In 2012, Justin married actress Melissa Ordway (below). He describes married life as great, and although there’s no sign of kids yet, he and Melissa have two dogs together. "We definitely want kids," he admits, "but not at the moment. For now I think I’ll continue acting. I’ll always do music, but I think I’ll keep [focusing on] the acting." Tune in to Lifetime to catch Justin and the rest of the gang when "Unauthorized Full House" premieres Aug. 22 at 8 p.m.